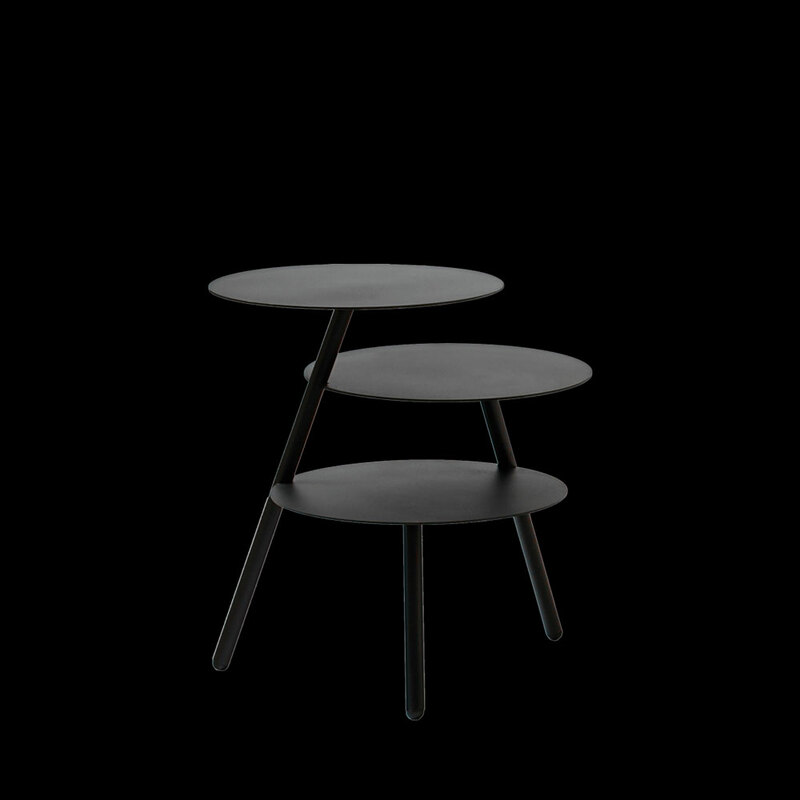 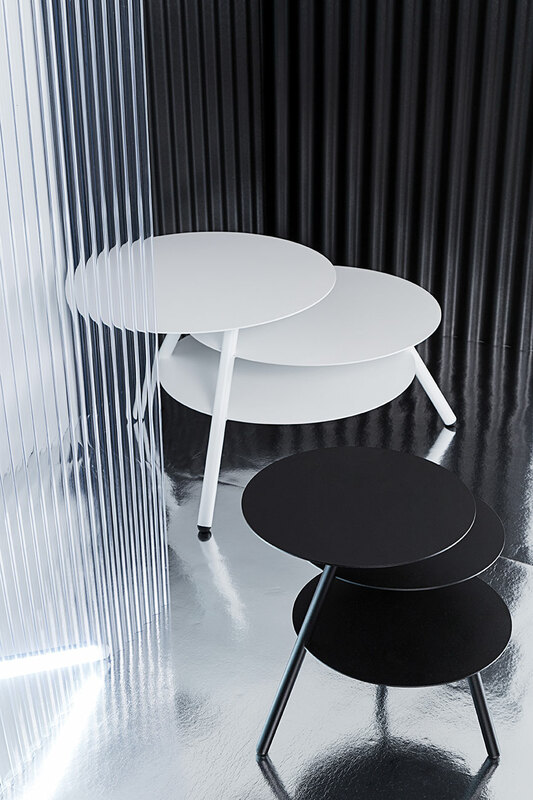 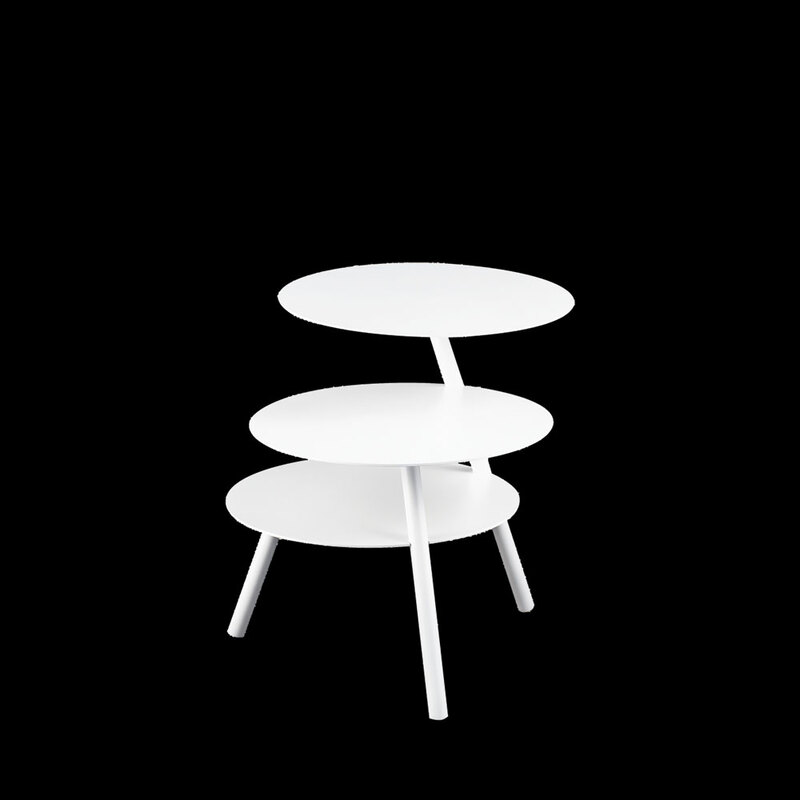 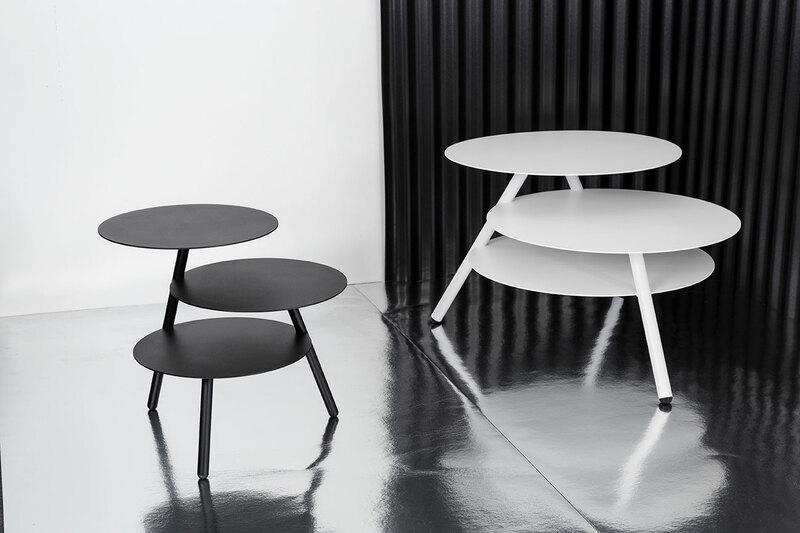 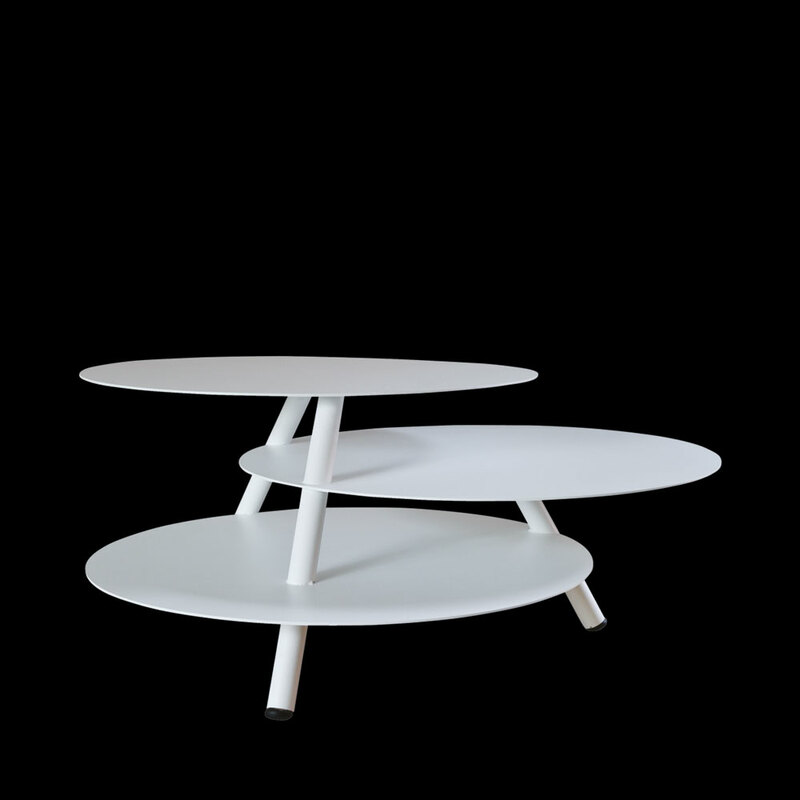 Trio table with three legs and three levels. 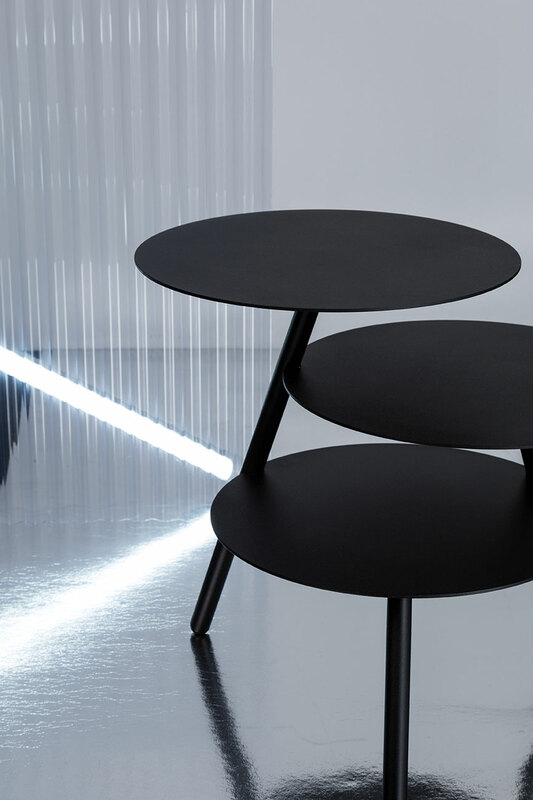 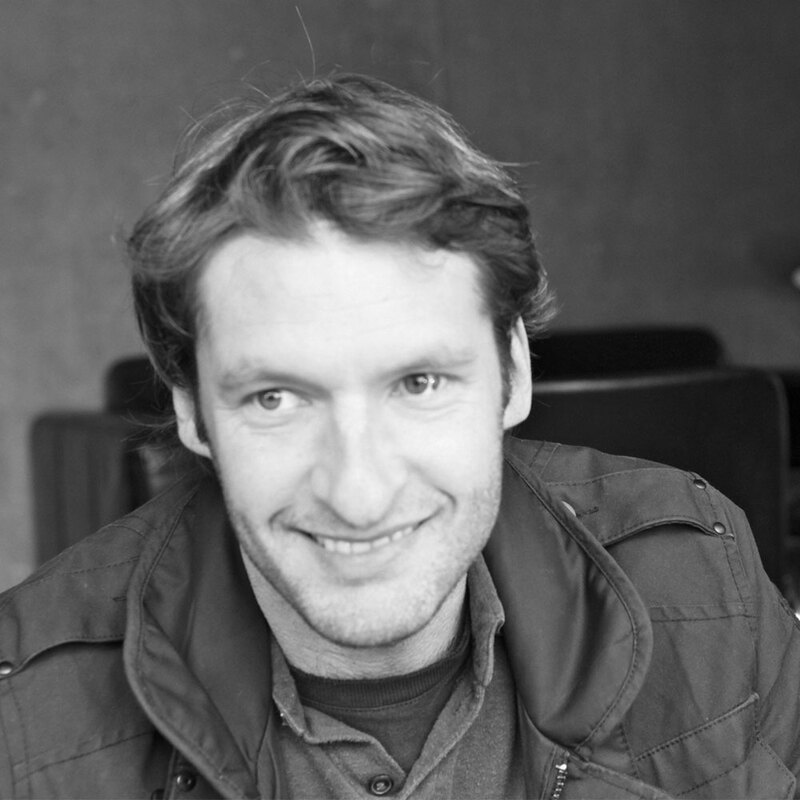 With this brilliant balancing act, Julian Appelius creates a wealth of surface area with a very small footprint, an achievement that won him the 2011 Interior Innovation Award – Best of Best. 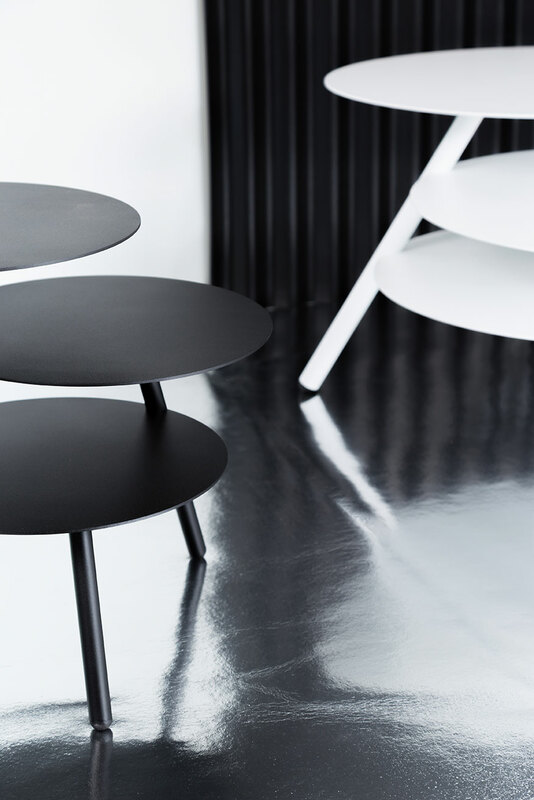 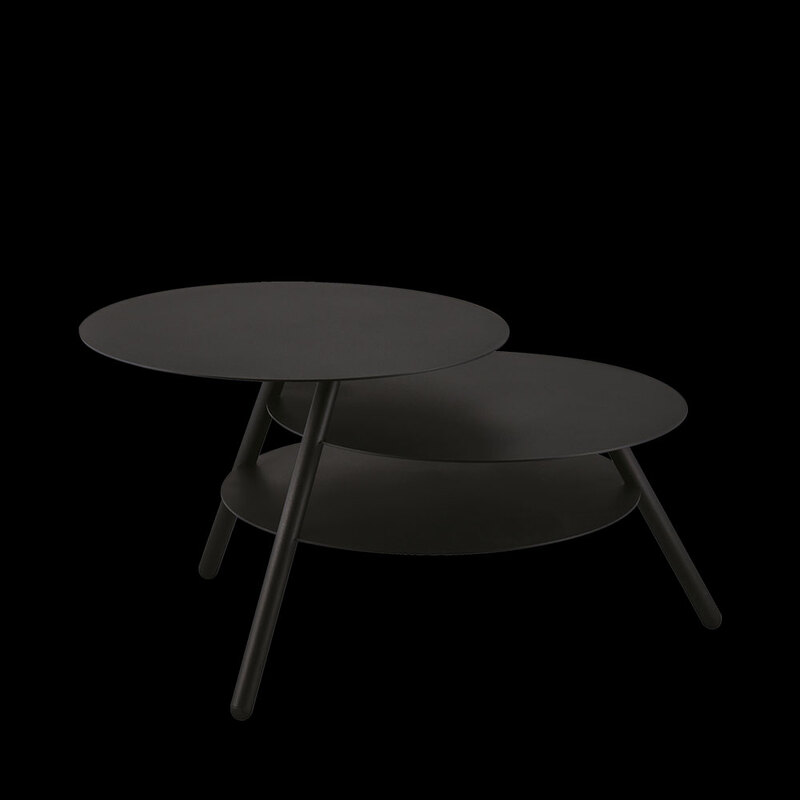 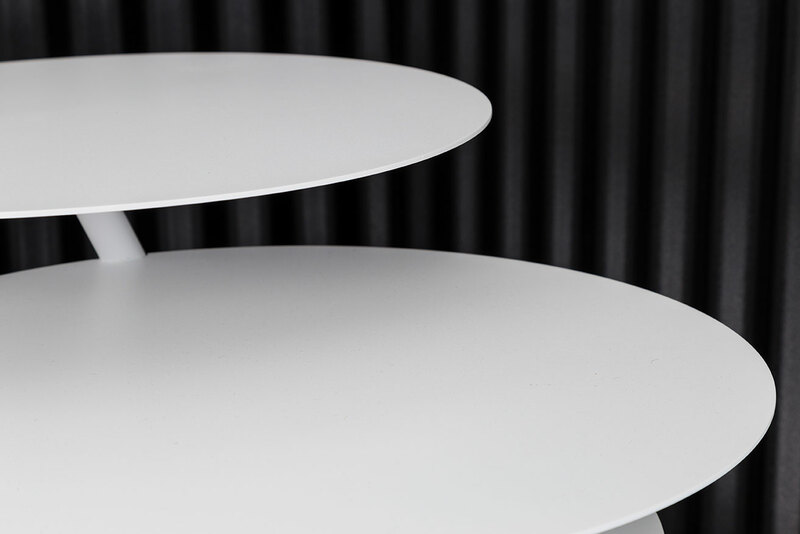 This end table is made of powder coated steel and can hold even the heaviest tomes, despite its modest height. 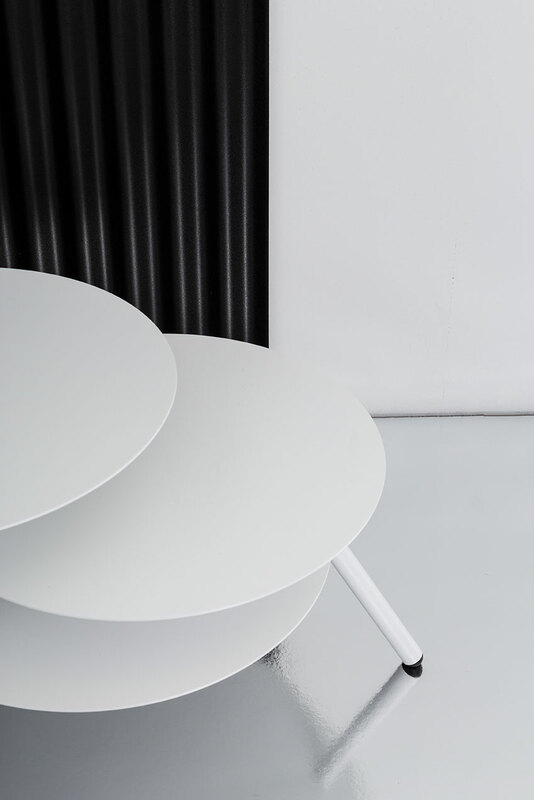 An eye- catching designer piece and a perfectly-formed end table.